Diversity in Mini-Biographies: Refugees, African Americans, and More! Diversity is a siren call these days, and, in regards to standard history book treatment of ethnic minorities and women, it’s often needed. A quick glance back through the history of American (and Western) children’s lit shows a pretty vanilla landscape. When people of color are featured, it often isn’t through the lens we might use today. Thankfully, authors and publishers alike are helping remedy this neglect. Are your history books a bit cursory in their treatment of women or ethnic minorities? When people of color are mentioned, are they simply names in a long list of events and dates? Would you like to give your children and students a more well-rounded picture of the wonderful diversity God has created among humanity, the apex of his Creation? We’ve got your back! Below are some solid resources for “mini-biographies”–anthologies of mini-biographies, actually. Picture book biographies are an excellent resource here, too, but don’t forget about the value of studying a group of people or having one or two reliable resources on your classroom (or library) shelves. Portraits of Hispanic American Heroes by Juan Felipe Herrera and illustrated by Raúl Colón. 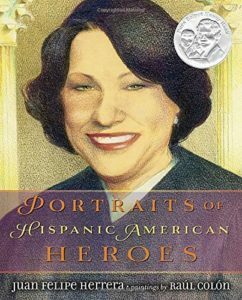 (2014) A chronological grouping, beginning with people like David Glasgow Farragut (famous in the Civil War), moving through names like Desi Arnaz and César Estrada Chávez, and ending with more contemporary people like Sonia Sotomayor. These brief glimpses serve as an introduction and are suitable for upper elementary and up. 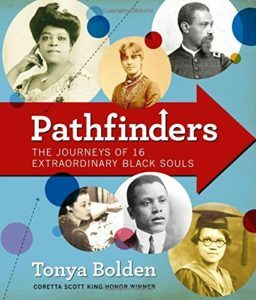 Pathfinders: The Journeys of 16 Extraordinary Black Souls by Tonya Bolden. 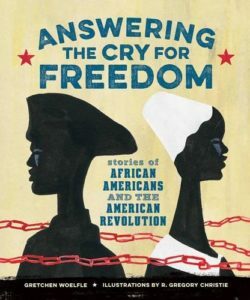 (2017) This book introduces readers to African Americans who made their mark on society in many different areas: race car driver, cartoonist, pioneer, spy…. Each chapter includes a wealth of extra data in the images and sidebars: historical events at the time, brief timeline of the subject, primary source images, and more. A solid resource for middle grades. Stormy Seas: Stories of Young Boat Refugees by Marybeth Leatherdale and Eleanor Shakespeare. (2017) Immigration and refugees regularly make the news these days, and this short book provides a good starting point for discussion. 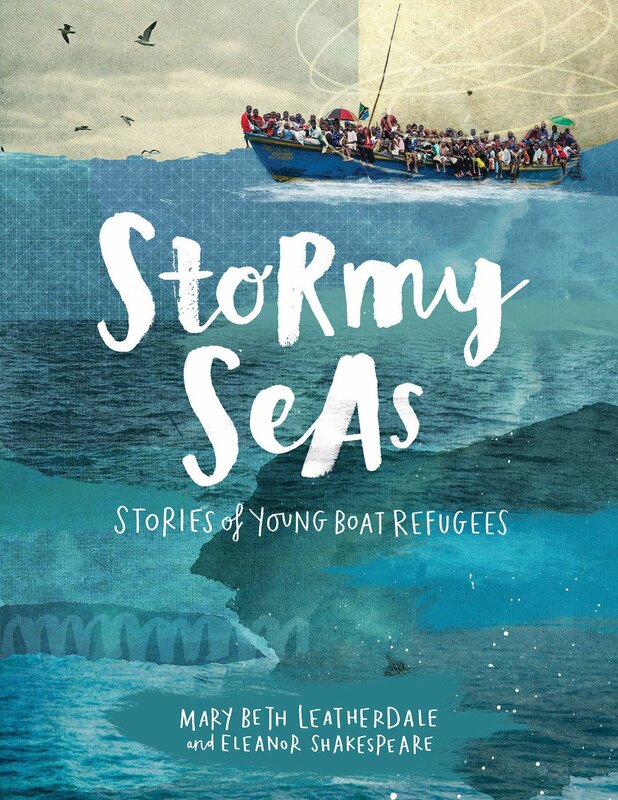 Profiling 4 young people who all fled their native countries by boat, the book helps illustrate the many reasons why people flee and risk everything in the process. A timeline of other famous boat-based refugee trips in history is included; one quibble: those fleeing religious persecution and first attempting to settle America are not included. 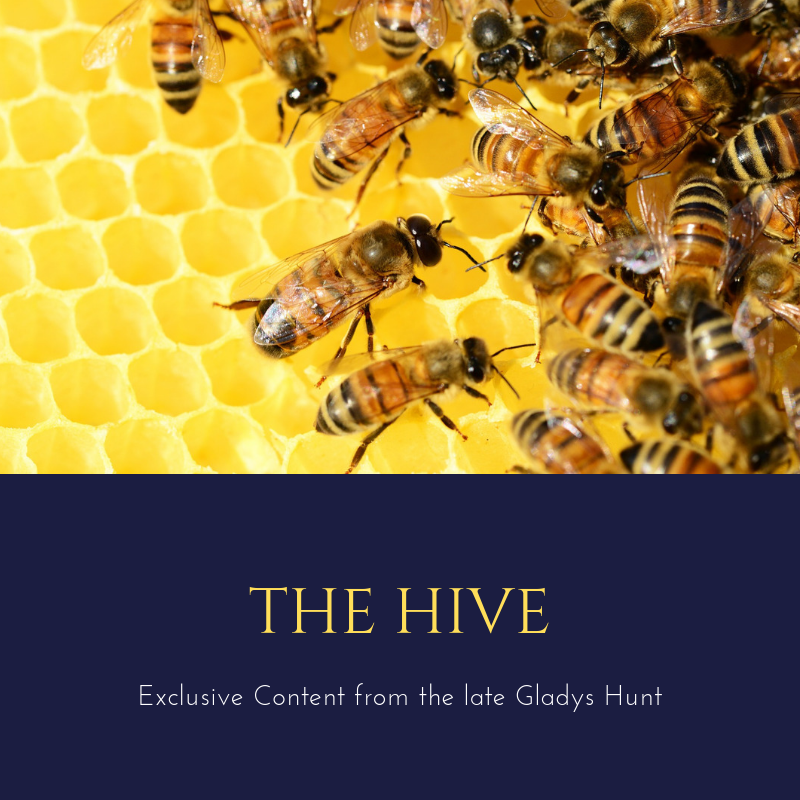 Suitable for middle grades; note: one story mentions human trafficking and, although the boy in the story was presumably providing manual labor, a sidebar mentions human trafficking for sexual purposes as well. Have you come across any good resources along these lines? Let us know!